So it’s about time I write a little something about what I am studying here in Switzerland. First of all I am studying at the Ecole Polytechnique Fédérale de Lausanne or EPFL for short. I am taking four courses that are all in french which is pretty cool and I also got a credit from the intensive french course I took in August. Another thing that’s cool is that I am taking three masters courses including my studio. Here the undergraduate degree is only three years long. For my studio I am working with a partner to design a transportation ‘hub’ in Evian (across the lake from Lausanne) with a variety of other types of program included in it as well. 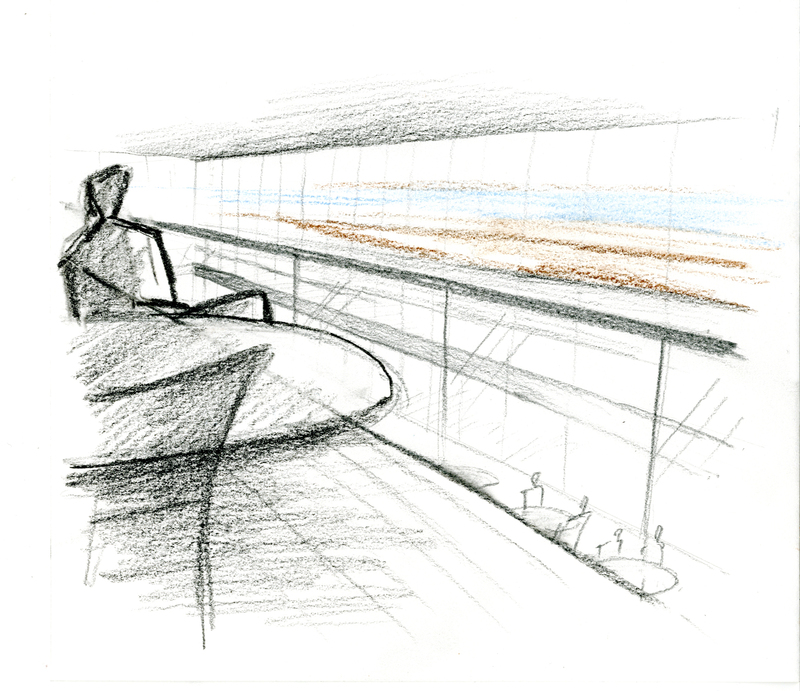 This image is one of the many sketches of our design in-the-works.